If your kids are attending school, you know their belongings may look just like some of the other kids belongings. 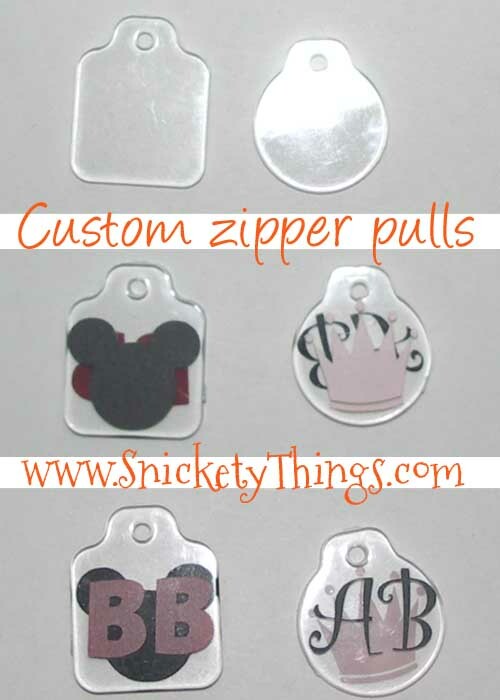 To give my girls' things look a little different, I thought I might make them special tags to hang from the zipper. A few weeks ago I picked up a package of Ideaology Fragments. I didn't know what I would use them for, but I picked them up for around $4 and couldn't resist the price. I was really excited because there were 16 different shapes in all kinds of sizes. I was disappointed after opening them because they were scratched up more than I would have hoped from hitting each other in the package. For use on the girls' stuff they would still work. I plan to use several of these in different ways. The first thing I decided on was using the vinyl have. I started with a one inch circle and a one inch square. 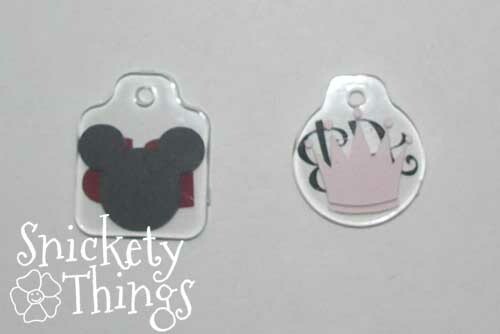 On the back, I put a pink crown for the Princess on the circle and a Mickey Mouse silhouette on the square for Boo using my Cameo to cut them out. On the front I put their initials. It is hard to tell, but Boo's initials are red to stay with the Mickey theme. I used black on the Princess' for a strong contrast. I like how you can see all the way through to the design on the back. I was hoping to surprise them in the morning by hanging them on their lunch bags, but I am going to have to find a way to attach them. I will post a picture in a future post of how I attached them when I do. I will post more ideas using the Fragments soon. Why don't you tell me what you would make with them in the comments. Paperclips are a good idea, do you think they would come off easily? Thanks for stopping by! That is really fun! I've never heard of Ideaology Fragments. Where did you find them? 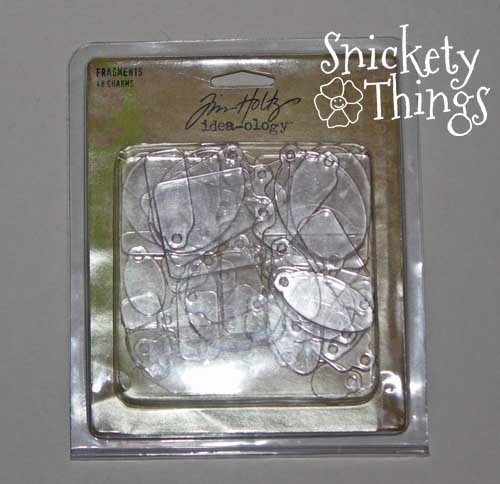 I got these at Michael's, but I think you can also find them at Hobby Lobby. Thanks for stopping by! These are too cute! My kids love key chains and zipper pulls to put on their backpacks. 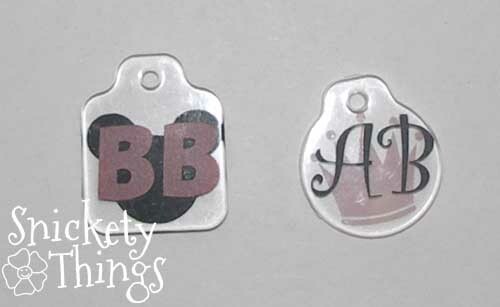 They would go crazy over personalized ones! Thank you! My kids are having fun with them. Thanks for stopping by! I love using Fragments to make photo pendants. I suggest using a large jump ring to attach your zipper pulls to their lunch bags or even a large safety pin. 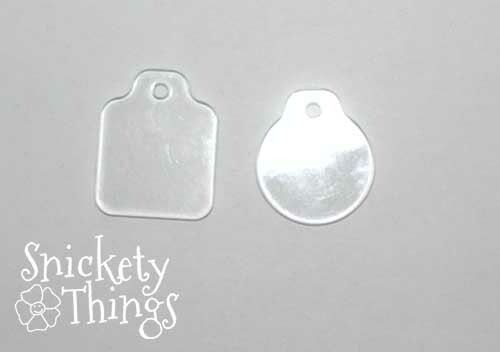 I've used both to attach some to my daughter's backpack and both worked out very well. I like the jump rings because then there aren't any sharp edges that might potentially poke someone if the pin breaks. Thanks for the jump ring idea. I still haven't had a chance to get out to a store to find anything.